The following is a list of currently accessibly project websites, please click on one of these links to explore the comprehensive and user-friendly Water Atlas. To learn more about the Water Atlas program, we recommend visiting one of our sponsored sites and discover the wealth of information available to you firsthand. 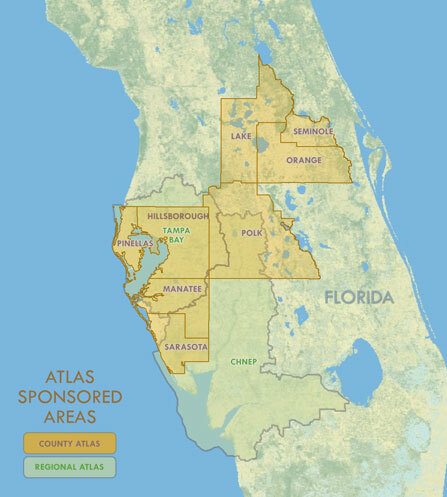 The areas within Florida currently maintaining a Water Atlas are outlined in the image below. To visit one of the Water Atlas websites, select a link from the list on the right.